JUNEAU — The state emergency fund that covers housing for disaster victims, pays for the rebuilding of damaged schools and provides aid to individual families will run out of money as soon as April 1, state officials have warned the Alaska Legislature. “In our perspective, it is an emergency to get money into the (Disaster Relief Fund),” Lacey Sanders, budget director for the Office of Management and Budget, told the Daily News after speaking to the Senate Finance Committee on Thursday morning. Senate Bill 38, the governor’s fast-track disaster-funding bill, would send $21.9 million in state money and $46 million in federal support to the fund, but lawmakers will have to act quickly, Sanders told the committee. Millions have been spent from the fund since the Nov. 30 Southcentral earthquake, and projections indicate the fund will run out of money by April 1. The fund had $11.1 million on July 1, 2018; it was down to $362,900 by March 5, according to figures Sanders presented to lawmakers. “The urgency of moving this bill along has increased due to the balance of the disaster relief fund,” Sanders told the committee. The fast-track bill would take care of immediate needs, but lawmakers will be asked for tens of millions more in the near future, according to an estimate provided by the Alaska Division of Homeland Security and Emergency Management to the finance committee. “HS&EM is estimating $60 (million) or more will be required to cover the state’s costs for the 2018 (Cook Inlet Earthquake),” the division wrote. That tally doesn’t include costs to repair roads and bridges — it’s only the costs for the Division of Homeland Security. The division isn’t asking for that higher amount now, partially because the final tally isn’t known. The figures in the fast-track bill are from a rough December estimate of costs, and the price tag has risen since then. According to the department’s explanation to lawmakers, the disaster relief fund pays for four main programs: emergency housing, grants to individuals and families, state public assistance, and emergency management costs. Emergency housing aid is given to people who need to find a place to stay immediately because their homes are uninhabitable. Grants to individuals and families may pay for repairs in the longer term. Emergency management costs involve administration expenses accumulated by the state while responding to a disaster. Public assistance involves aid to local governments — including school districts — whose facilities were damaged. In the weeks immediately after the earthquake, the state began picking up the tab for all four programs, according to Bryan Fisher, operations manager for the Division of Homeland Security and Emergency Management. Under state regulations, that stopped when President Donald Trump declared the earthquake a major disaster, Fisher told lawmakers. Those regulations require Alaskans to apply for aid first through the federal government. Only if federal aid is unavailable does the state pick up the tab. 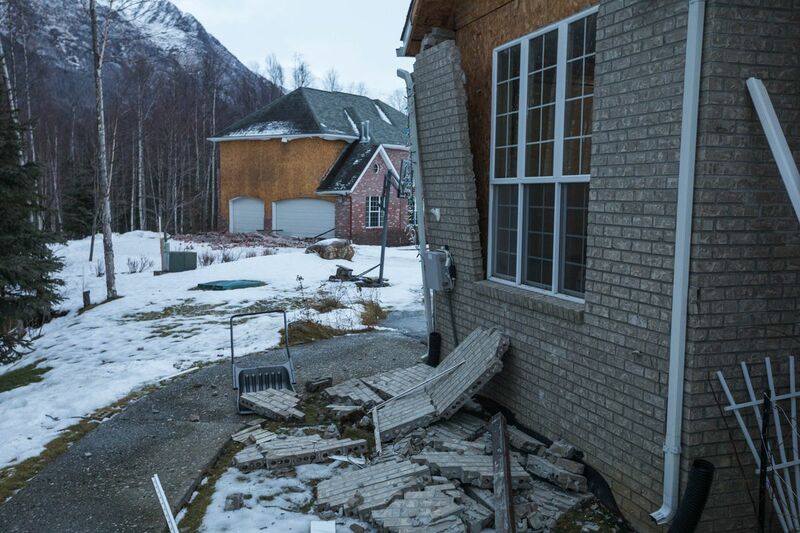 Confusion over the process has led to problems for some Alaskans struggling with earthquake damage, and Fisher told lawmakers the state will be mailing additional information to all Alaskans who applied for state aid. According to cost estimates provided by Fisher’s agency, much of the financial strain on the fund is coming from the public assistance program. Sixty-seven organizations or agencies have applied for state aid, the agency told lawmakers. Groups within the Municipality of Anchorage alone have requested about $31 million in spending, according to figures provided to the Senate committee. The major disaster declaration means FEMA engineers will begin working with school districts to evaluate their eligibility for federal money to rebuild or repair structures, Fisher said. Districts will work with FEMA directly, and if FEMA can’t help, that’s when the state will step in. Even if that happens, the federal government pays three-quarters of the cost, documents provided to the committee indicate. If the Legislature cannot pass the fast-track disaster-funding bill before April 1, state law provides a backup option for the governor, Sanders said. Sanders said that legislation was primarily intended to cope with disasters while the Legislature is not in session. “Hopefully we would never get to that point,” she said. While the disaster relief fund is most in need of attention by the Legislature, SB 38 contains other appropriations, mostly dealing with the reconstruction of roads and bridges. As proposed, DOT would get $8.5 million in state funds and $65 million in federal money. Another $7.9 million is reserved for the summer wildfire season.